I will be honest with you. This is the first time I have cooked Japanese food. 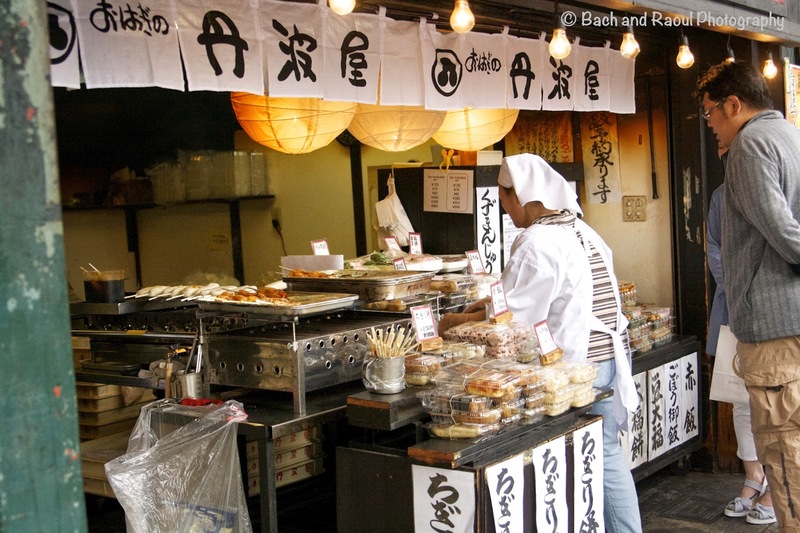 After spending two fantastic weeks in Japan a couple of months ago, and gorging on the most mouth watering food, I have made it my mission to learn to cook authentic Japanese food. I would definitely call my first attempt a success! 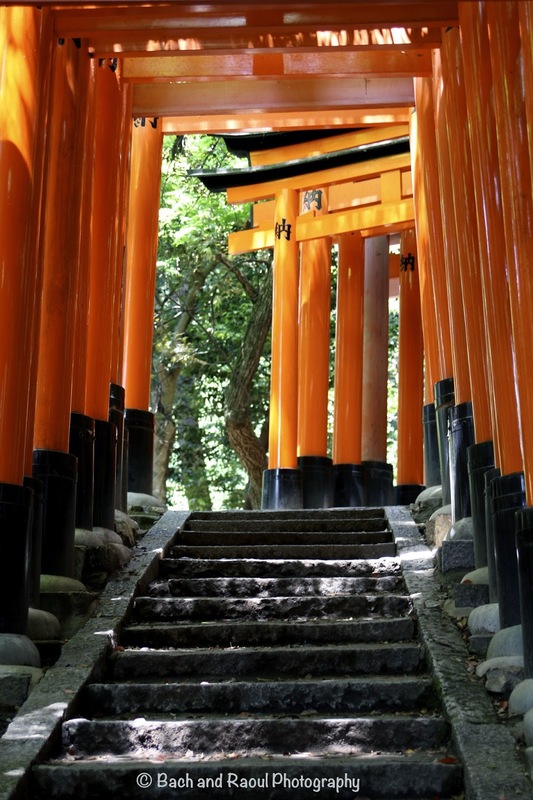 Before I get to the recipe, I want to share some photos I took in beautiful, vibrant Kyoto - a city of ten thousand shrines. 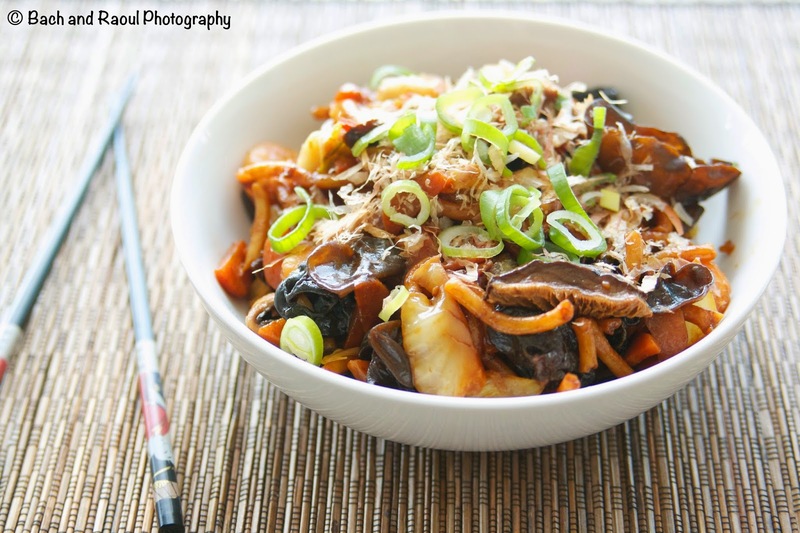 Now for today's recipe: Yaki Udon. 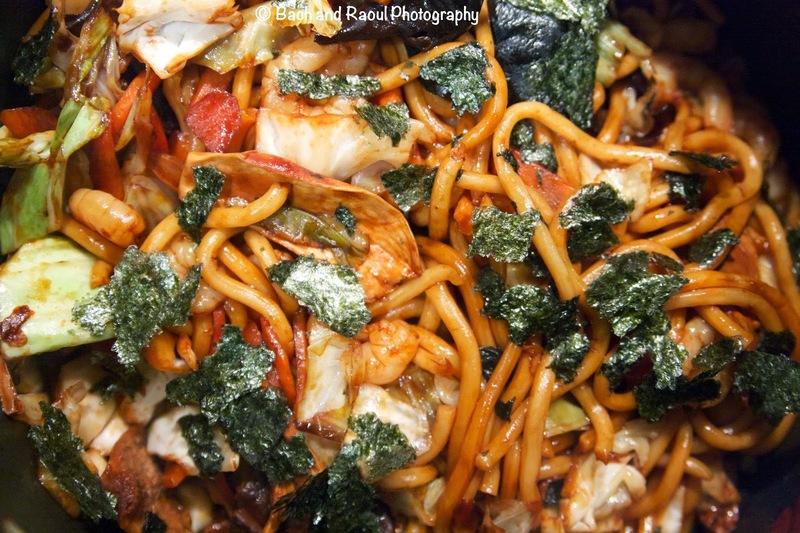 Stir fried udon noodles with vegetables and shrimp seasoned with dashi and sprinkled with a generous amount of bonito flakes. This took me right back to Kyoto with the first bite. 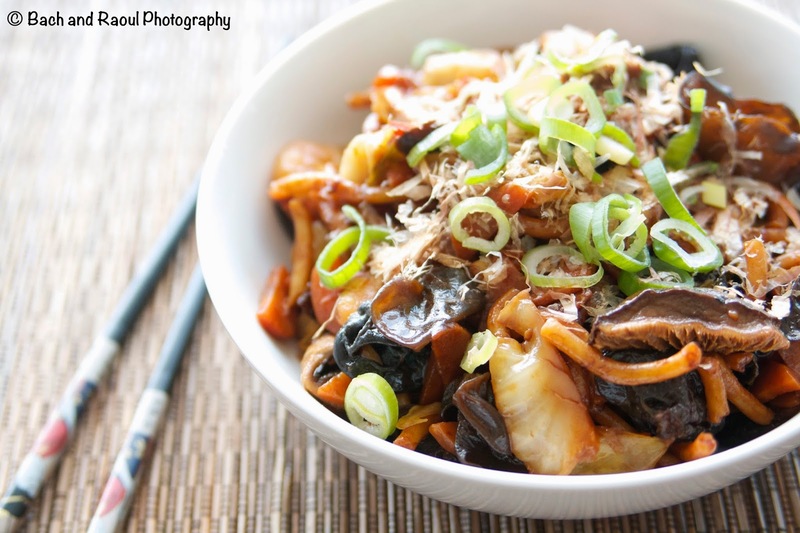 **Use good quality dark thick soy sauce, because the nasty stuff will ruin this dish. 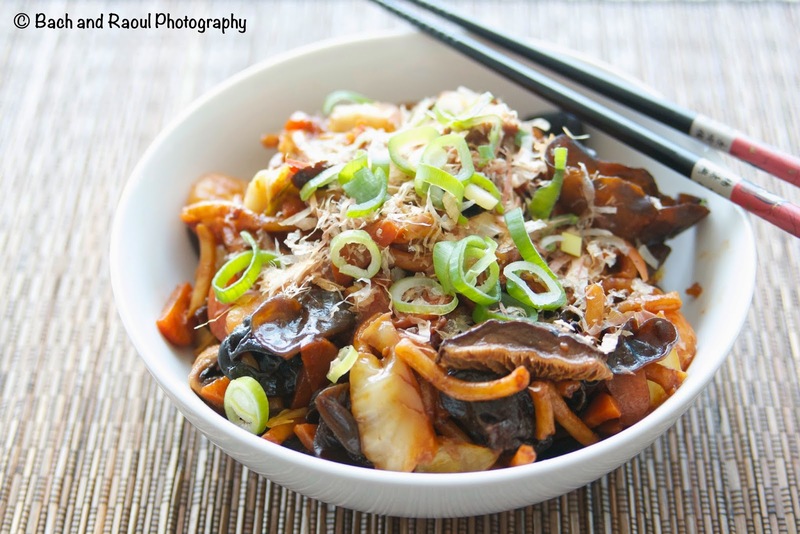 Rehydrate the mushrooms by soaking them in hot water for about 10- 15 minutes. Heat oil in a pan. 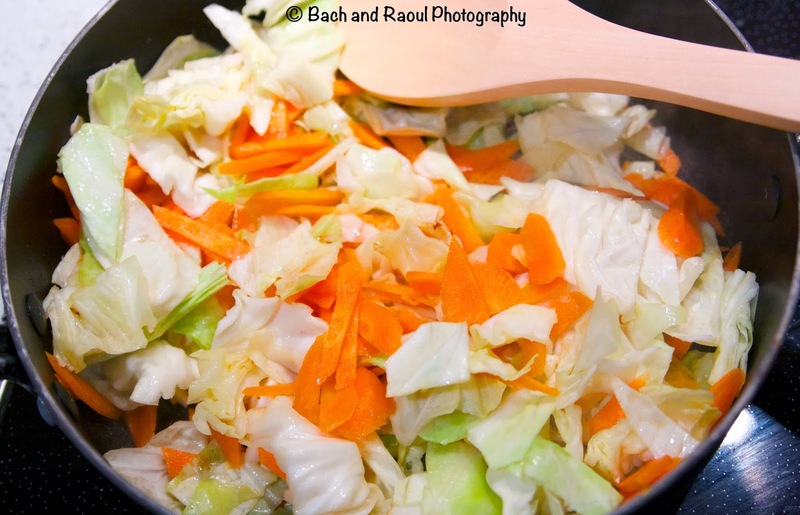 Add the cabbage and carrots in the hot oil. Once they start wilting add the mushrooms. 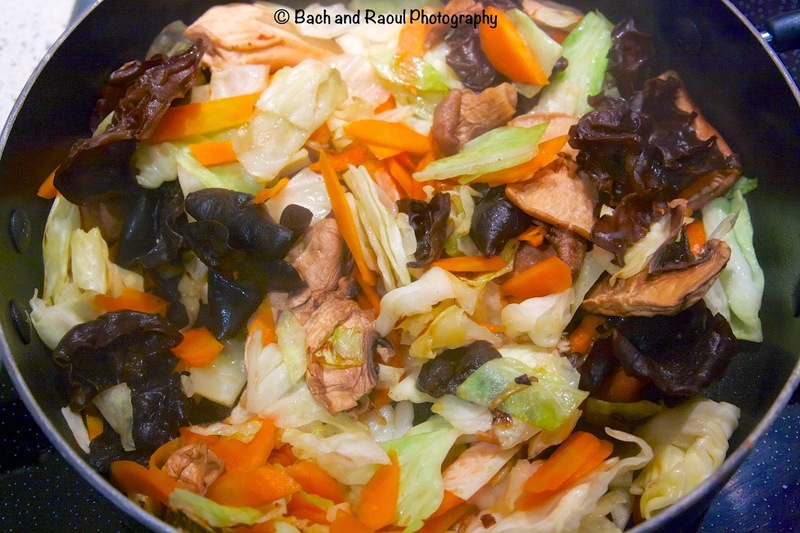 Sprinkle the dashi seasoning to the vegetables and stir them in. 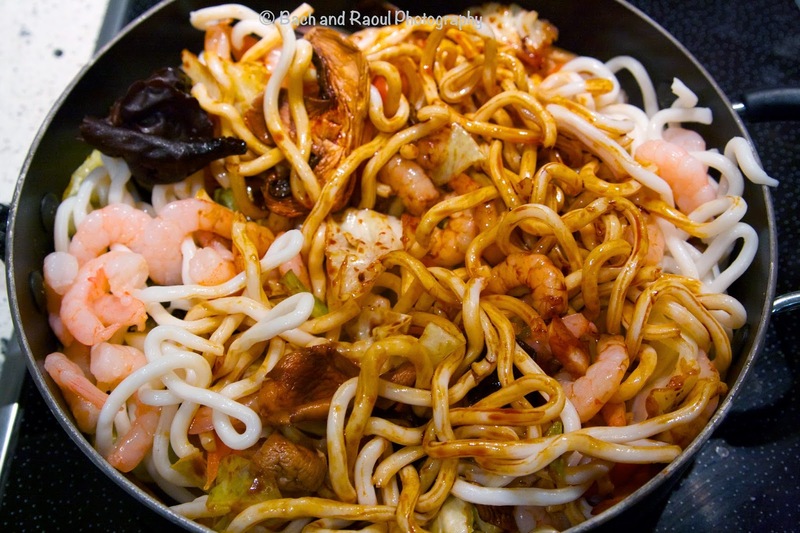 Add the udon noodle and shrimp and add the soy sauce. Stir and cook for a couple of minutes. The shrimp is already cooked so it doesn't need to cook too long. Crush and add in the nori. Stir it in with the rest of the ingredients and cook for a couple of more minutes. Garnish with a generous amount of spring onions and bonito flakes. This looks wonderful (all your recipes do)! That second picture from your trip reminds me of something I saw on a Rick Stein program in Thailand. 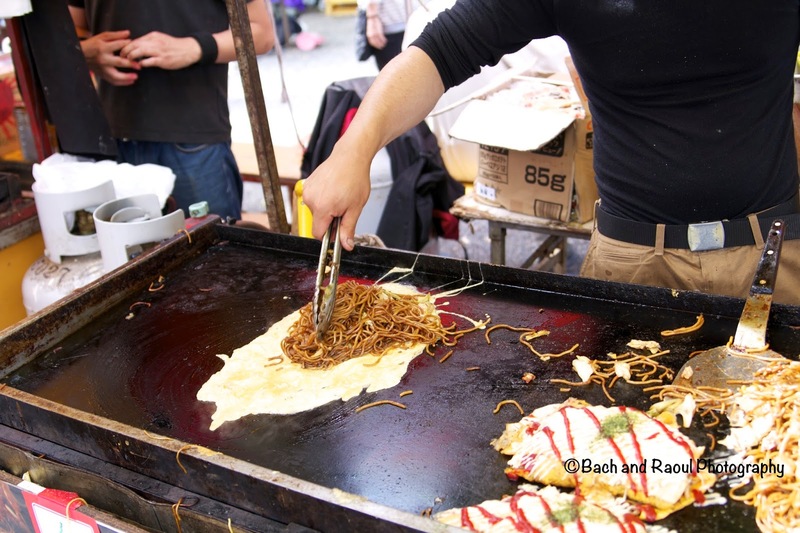 There was a guy making pad thai and wrapping it up in a sort of big omelet. Is that similar to what is happening in the picture? Is that white stuff eggs?